"We will get back our lands in Paanama on 15th" Says Somasiri the leader of Paanampatthu Protection org. 150 families were displaced and living in many places in Paanama area. The total amount of land grbbed illegly was 1220 acres from 5 villages. 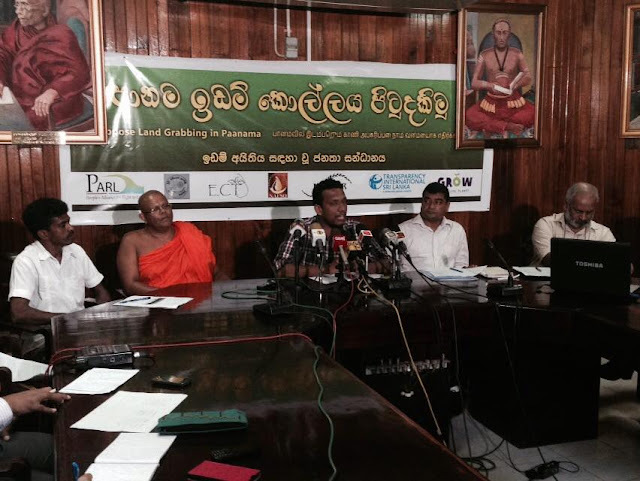 However, 340 acres of land were released with the cabinet decision on 11 February 2015 when the new government elected after defeating the Mahinda Rajapakse regime. When the Paanama people attempted to go to their land and attempted to settle there the military blocked their settlement and returned them. The main accusation was how to identify thr owners of the community. 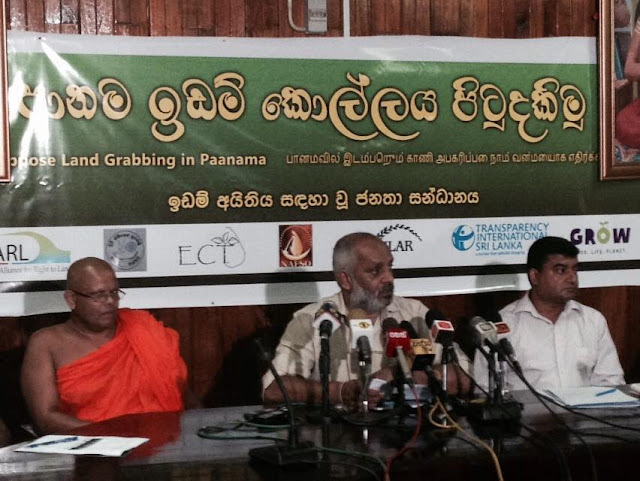 Paanama people did not want to give up the struggle. They attempted to prove the ownership. Prepared the documents to prove the ownership through collecting deeds, documents and other legal papers. The documents were prepared and handed over to the President once he visited to Pothuwil Samudrasanna vihara for religious activity. The community members are now in a difficulty to continue their displacement. 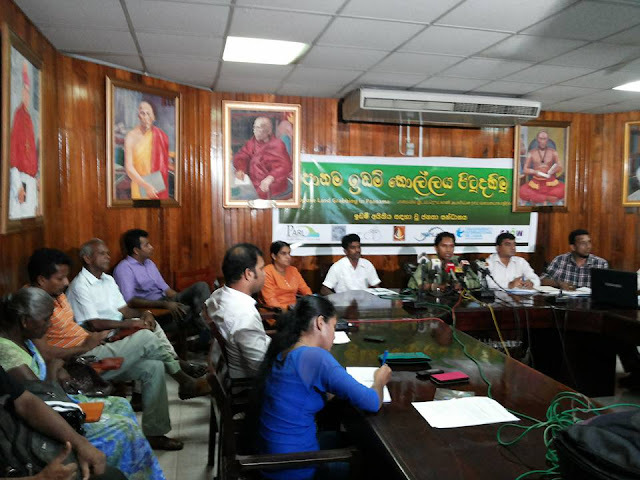 The group has informed their aspirations to share the available land, still giving up another 50 acre land for forest cover and occupy rest the total amount of 290 acres. But there is still some doubts to be cleared before people settle. Basic facilities to be provided. "We can not wait till evrything settle peacefully. 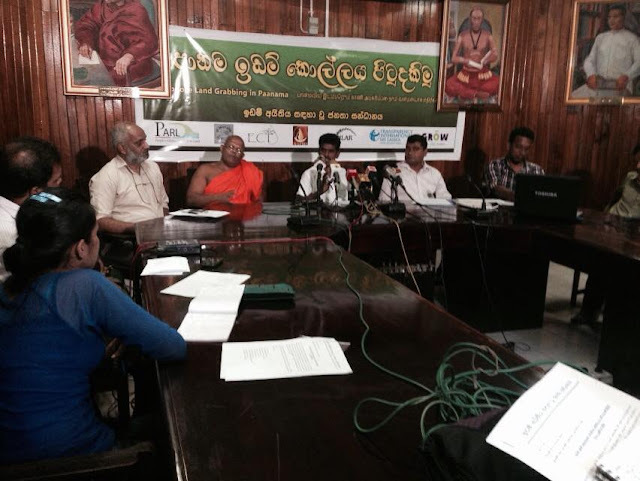 First of all we will go to Raigamwela temple on 15 July." Says P. Somasiri. "We were undergone severe difficulties as displaced people. No one help us till Yahapalanaya govt take a decision. We did our best to make a change and we succeeded. So we do hope all will help us to go back to our own land peacefully." G. Kusumawathie a displaced land owner shared at the press briefing today. Rev. 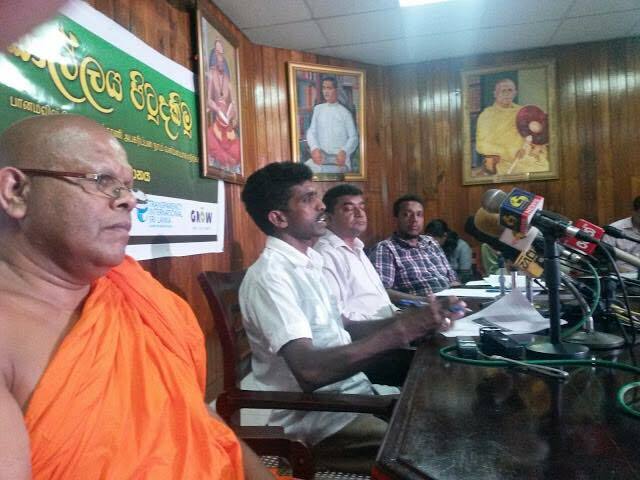 Panama Chandraratana thero, said at the press briefing today, "Paanama people were sacrificed their lives, livelihoods and land during the war. We expected there will be peace and people will live in harmony after the war. But actually happened was opposite to Paanama people." This can not be justified to live in displaced even after 5 years of war ending. Added Rev. Chandraratana thero. "We request all of the govt authorities, military, police, officials to assist us for peaceful resettlement in our own lands on 15th July." Requested Somasiri at the end.